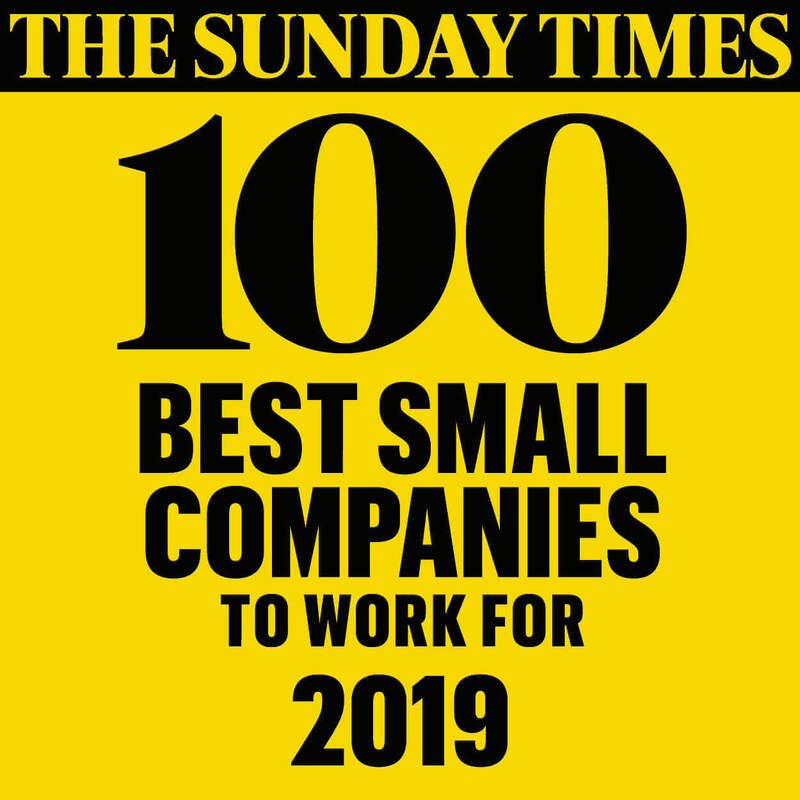 Every year at ForrestBrown our team nominates a charity for us to champion as a business. Last year, we supported Headlight – a local mental health charity – and were delighted to go above and beyond our initial fundraising target. Our charity for 2018 is BRACE. 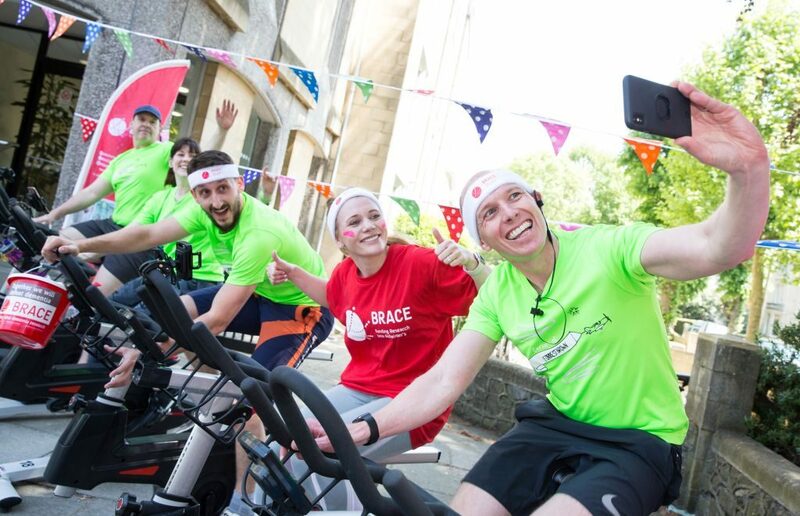 BRACE is committed to defeating dementia through scientific research, and is particularly close to one of our colleague’s hearts – Emily, senior tax manager – who suggested the charity. Emily’s father has been living with dementia since 2010. She’s seen the effects of the illness first-hand, so we couldn’t wait to do all we could to help. To kick off this year’s charity fundraiser we incorporated our company fitness initiative ‘Workout Wednesday’ and held an exhilarating, slightly competitive, spinathon. 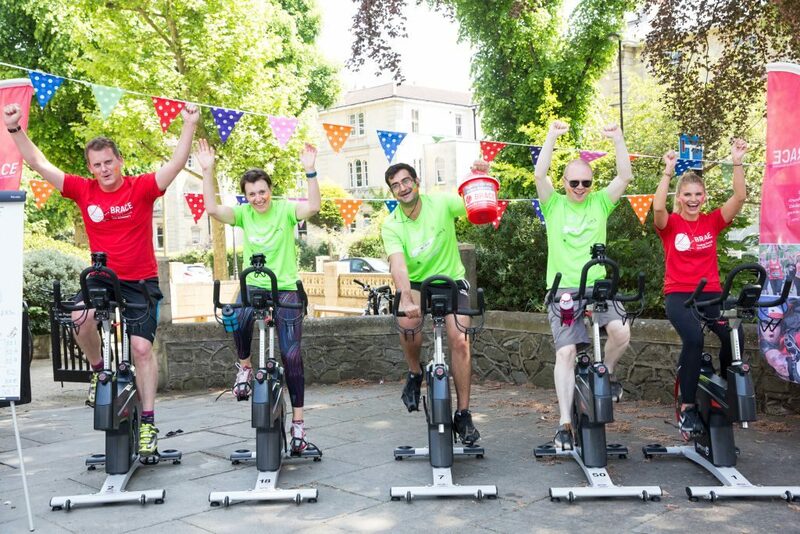 With the goal of cycling the distance between Bristol and Paris (just short of 283 miles), the team were quick to set the pace – and even continue it. Before lunch, our speedy cyclists smashed their target and ended up covering an impressive 438 miles across the entire day. To add some healthy competition, we also held a sweepstake on who would cycle the furthest in 30 minutes. 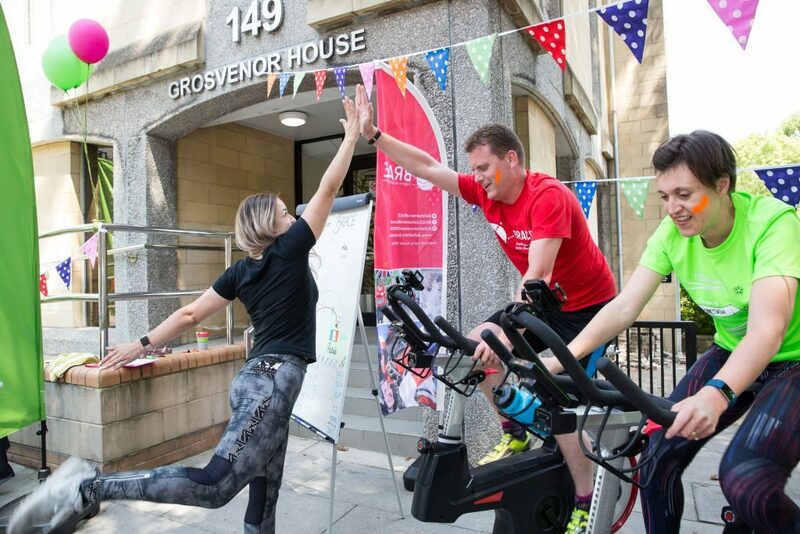 Rebecca, tax manager, span into the lead – cycling over 11 miles in just half an hour. Giving something back to the local community is really important to us all here at ForrestBrown. 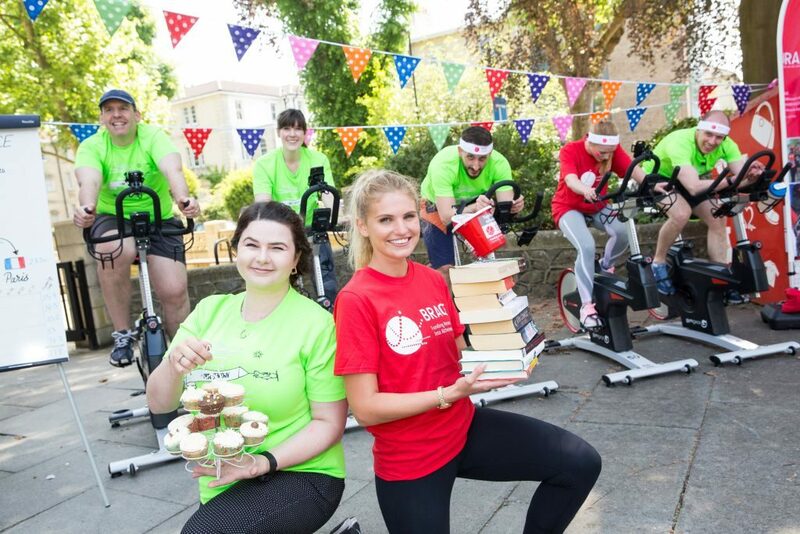 This year, the team has chosen to support BRACE and we started our fundraising efforts with a glorious day of spinning outside our offices. Our directors were also eager to get in on the day with their own mini challenge – ‘The Spinoff’. Going head-to-head, they competed in a gruelling hour of speed spinning. Speed-champ Adam won the challenge, coming only third across the whole day to spinning whizzes, Rebecca and Chris. The charity fundraiser didn’t end there. 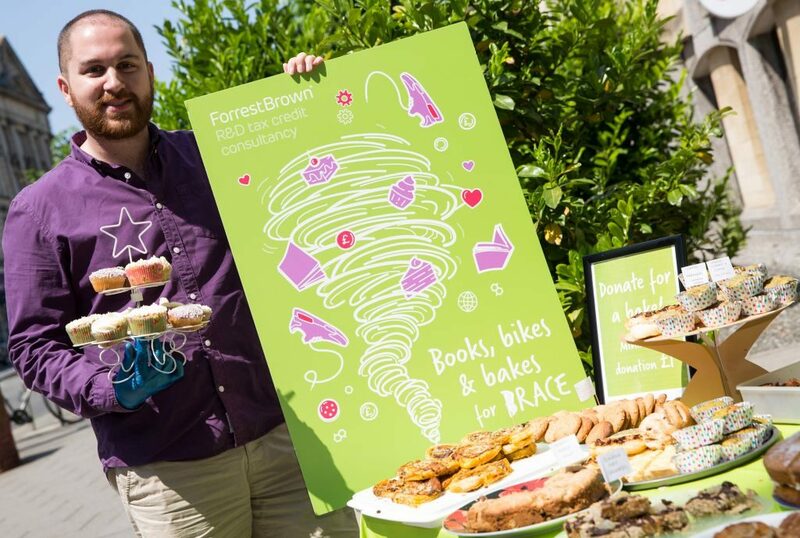 Riding on the success of last year’s efforts, we brought back the famous ForrestBrown bake sale, which involved sweet-treats and savoury-bites, baked by all the team. 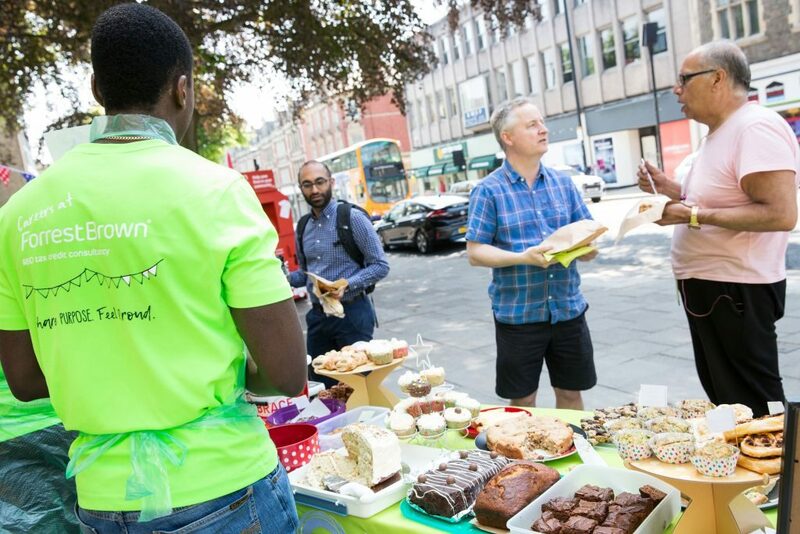 Our budding bakers received excellent feedback from passers-by and the stall was as popular as ever. For the second year running, it was expertly managed by our partnership manager Ryan, who, with the help of his mum, dad and grandma, baked an abundance of treats for the day. 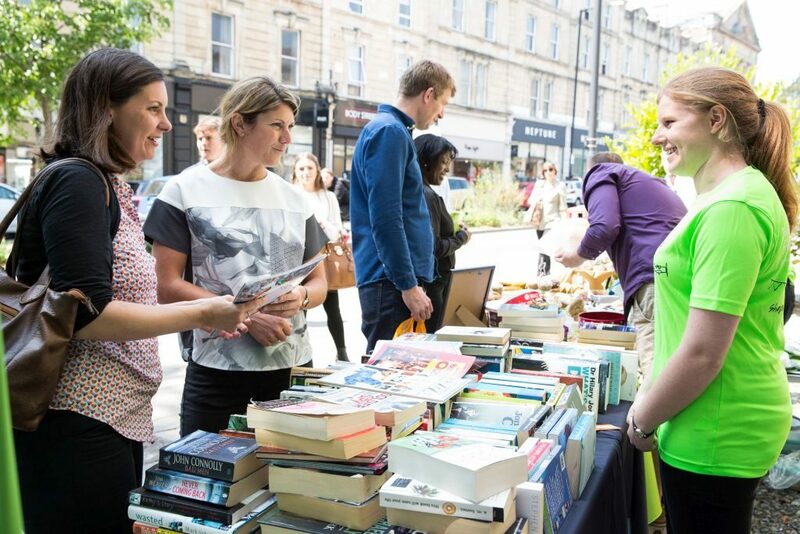 To round off the day, we offered a book sale to the passing public – giving them a chance to discover over 500 possible summer reads, which were all donated by our team. After only being at ForrestBrown for a few weeks I was really excited to get stuck in to helping out for a great cause. I was very excited about the great team culture and commitment to giving back, and this day showcased it brilliantly! So, how much did we raise? We’re thrilled to announce that we sped right past our initial target, crossing the finish line with an amazing £1,334.65! We’d like to say a huge thanks to everyone who contributed to that total, including those who topped up the day’s donations on our JustGiving page. It was amazing to see how everyone got so engaged by the whole day and really pulled together to make it so successful. The money raised will be so important to BRACE and the furthering of research into dementia. Seeing how dementia has affected my dad, and the impact it has had on our family and friends, this means so much to me. If you’d like to donate to BRACE, please head over to the ForrestBrown JustGiving page.